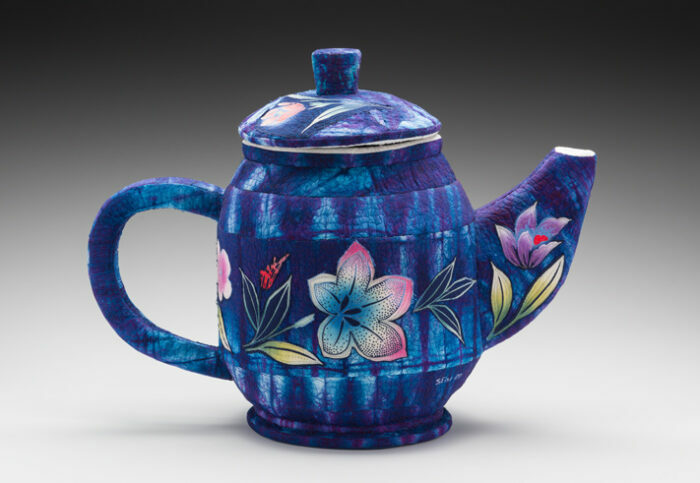 This large soft sculpture by Susan Else Morning Ritual is a quilted construction of hand-dyed cloth in the form of a teapot. 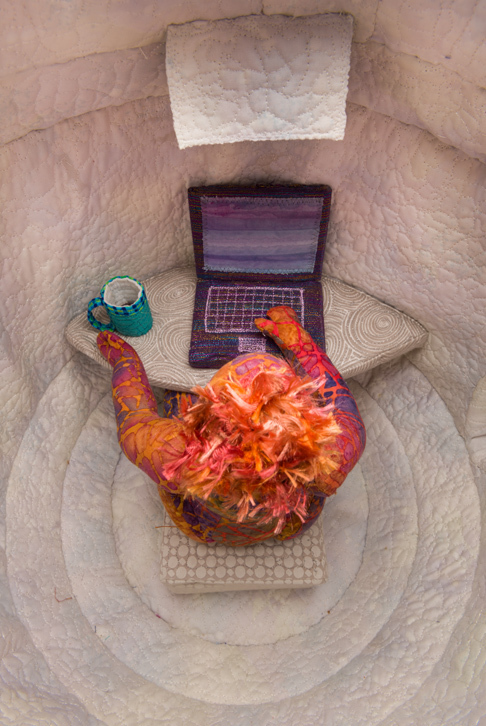 The lid comes off to reveal an interior scene familiar to many: a person sitting at their computer drinking coffee. There is a real electric light above the desk. The entire interior is finely quilted in a free motion pattern.